January 21st in Reverse Engineering by Wordpress Jedi . In the past couple of weeks, we have covered plenty of tools you can take advantage of to find out what themes and plugins are being used by your competitors. During this time, many of you have reached out to us with your favorite tools for spying on WordPress sites. 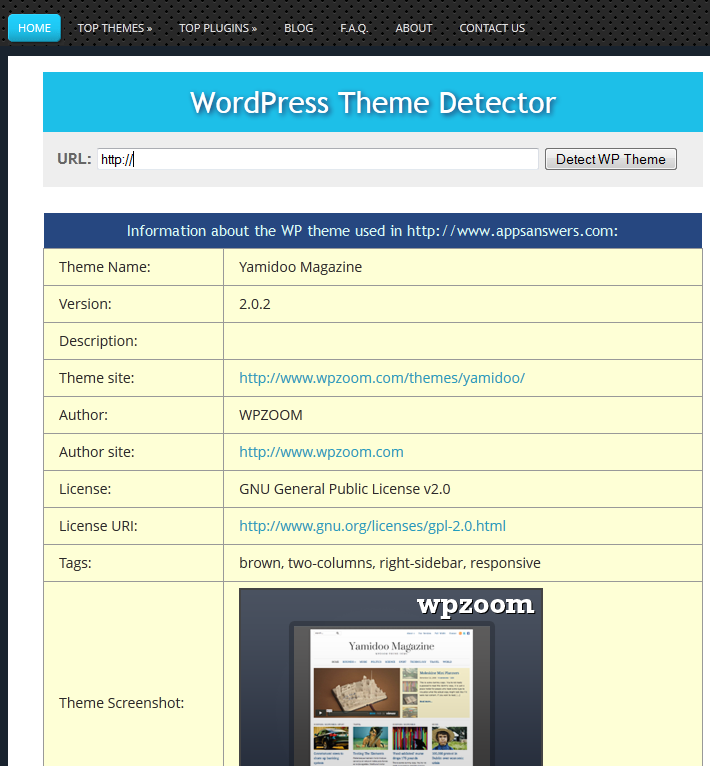 WordPress Theme Detector happens to be another decent tool for theme discovery (suggested by a few readers of ours). January 13th in Reverse Engineering by Wordpress Jedi . 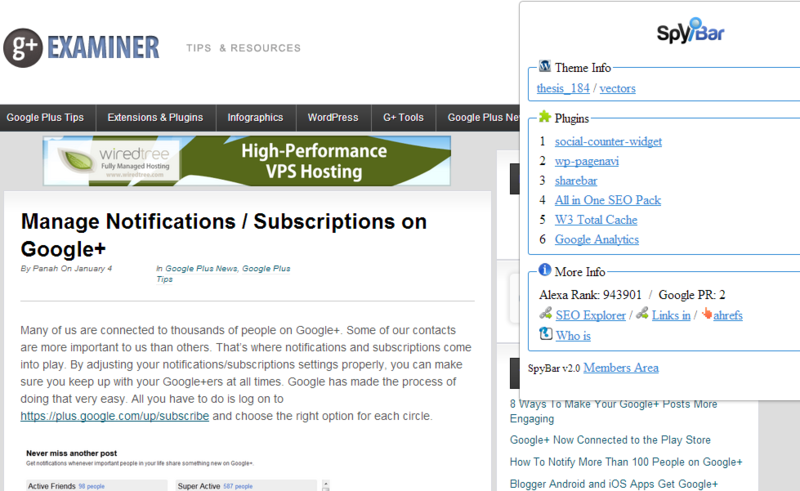 Have you ever looked at a WordPress site wondering what plugins are being used on it? By inspecting the site’s code, you could always guess what’s being used. SpyBar for Chrome and Firefox could lend you a hand with the process. All you have to do is provide it with a site to analyze, and it does the rest. It offers information on themes as well. December 12th in Reverse Engineering, WP Solutions by Wordpress Jedi . 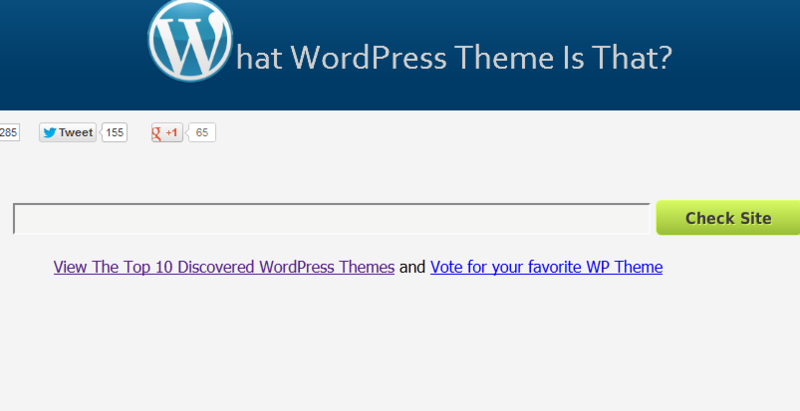 What WordPress Theme Is That: one of my favorite reverse engineering tools for WordPress sites. It not only tells you what theme is being used on your favorite site but it may also provide you with its designer’s contact information.